More people you want reach are on mobile. Talk to customers and prospects with clear, simple ads. 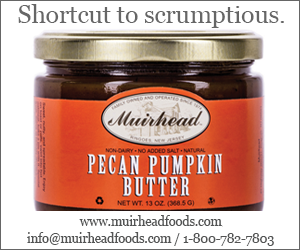 Here’s one that J&M did for Muirhead Foods. This ad tells Muirhead’s story. You can tell yours. Use big data to reach your audience. Find data all over the internet. In articles. On LinkedIn. Respond to that data the way the big guys do. Bacardi just increased online advertising because 83% of alcohol buyers own smart phones. Use Facebook, Google, media platforms or even bloggers and local papers like MontyNews.com to run your ads. Just keep those ads running for six months. Use J&M to create an online ad that fits into your overall advertising campaign. It’s hard to do a brief ad that makes your audience care about you. But that’s what we do. For more information, email me at vandagens@jandmads.com or call 609-924-1083.